Every year, I post fewer and fewer outfit posts. It's a real shame because I love outfit posts and finding interesting locations (WHY did I take none in Paris or Berlin?) but I just never seem to have the time. Hopefully that will change this year. I'm going to put it at the top of my list of priorities! January: I love Snoopy! I bought this jumper in summer 2014 and was just waiting for it to get cold enough to wear! February: I must find this Gerard Way sweatshirt because I absolutely love it and I think I've only worn it twice. 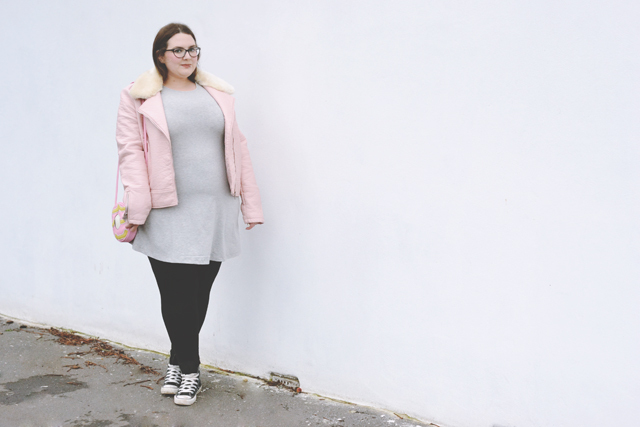 March: For the first time since I started the blog, I went a whole month without an outfit post. I did post these outtakes though! April: This black and pink outfit is one of my favourites ever! May: My striped maxi skirt is my go-to item in the summer. June: 2015 was the year I really experimented with maxi skirts and dresses, as you can see! July: Like March, I didn't post any outfit photos in July so have this bright dress from June! 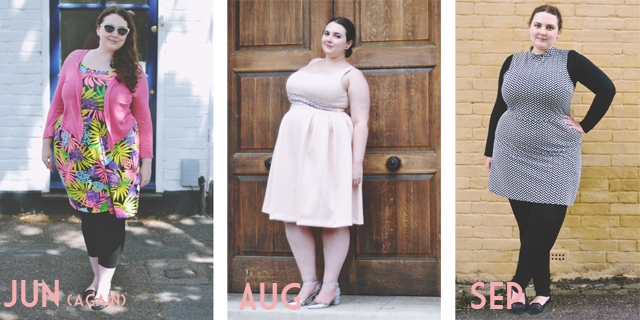 August: A wedding forced me to buy a new dress (honest!) so this blush pink ASOS dress found its way into my wardrobe. September: I absolutely adore this 60s monochrome dress. Never thought I could wear this sort of dress but what do you know? I was wrong! And then, erm, I didn't post anything until December. That's terrible, isn't it? I promise I'll do better next year! I love that pink leather jacket!! These all look great but I think my absplute favourite is the stripes maxi skirt. I might have to copy this in 2016! Feb & April's outfits are my most fave! March-ish is giving me life, you look adorbs! I really like your outfits- that blush pink dress looks stunning on you!